Chloe Silver Design: Weekly Update - Finito! This album is a wonderfully complete experience from start to end. With echoey rhythms, 8-bit anthems and the occasional breakbeat, there's a little bit of a lot of different electronic genres. 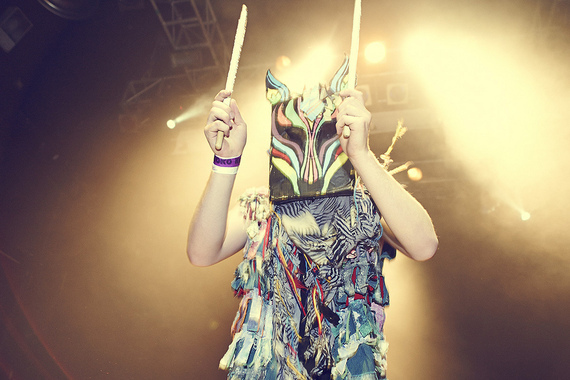 Apparently, the complex sound of Slow Magic is comprised of a single DJ in a rainbow wolf mask. I feel like electronic music is as much about the image of performers as it is about the sound...but hey, that keeps it interesting, right? Oh, I don't know. Maybe the fact that I FINISHED SCHOOL!! Finally, finally, I am no longer chained by the shackles of York University. Saddeningly, neither am I chained by Sheridan College. I tore down my grad show display on Tuesday, had my wisdom teeth removed on Wednesday, and booked some interviews on Thursday. Now, to dazzle the masses with my newly honed design skills, and we'll call it a day. As I move out of 'homework' phase and into 'self-perpetuated projects' phase, I want to make sure I keep my goals clear. While I will be pursuing full-time work in a more 9-to-6 (yes, they've expanded the working day by an hour), I still want to find time to work on my own projects and aspirations outside of those hours. While I will still be posting updates on Sunday or Monday, I will now also be giving myself a specific task each week, and planning a day in which to complete that task. You know my love of rigidity. Now may also be a good time to declare that, yes, I did miss a week of updates, but we can chalk that up to finishing my projects and working on grad show like a madman, right? Great. And when will I be doing this? Tomorrow night, of course! Gotta get my goals on the go, right? Let's pray I can get it all done in time for Tuesday morning, when I will be presenting it in a formal setting. With all the drugs I've been awarded in light of having my wisdom teeth removed, I had some pretty funky thoughts. Unfortunately, those thoughts are all lost to the winds now. But I did write one down that I thought was a true winner. I was watching Game of Thrones (no spoilers, I promise) and a character was contemplating their inevitable death. What sort of legacy would they leave when it was time to face their end? How would they be remembered? This character believed that to become truly memorable, in days I would compare akin to medieval times, their plights would be sung by minstrels for centuries to come. In songs. I had a brilliant thought – in those times, songs were the equivalent to our movies! How would your heroic actions be best remembered nowadays? In a movie! Everyone would go and see it, there'd be a huge buzz about who would play you, the whole deal. I know it isn't earth-shattering, but I thought it would make a pretty good Sudden Clarity Clarence, if I do say so myself. Have you every heard of MyIdol? 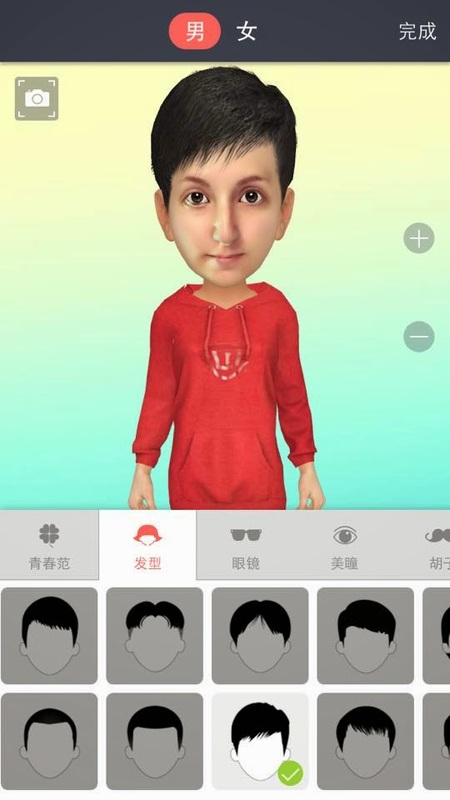 It's this weird craze from China – a mobile app that creates an almost-perfect, yet slightly off avatar of you, of which you can then take pictures or videos to send to your friends. As I said, the results are ever-so-slightly off, which can lead to terrifying results. 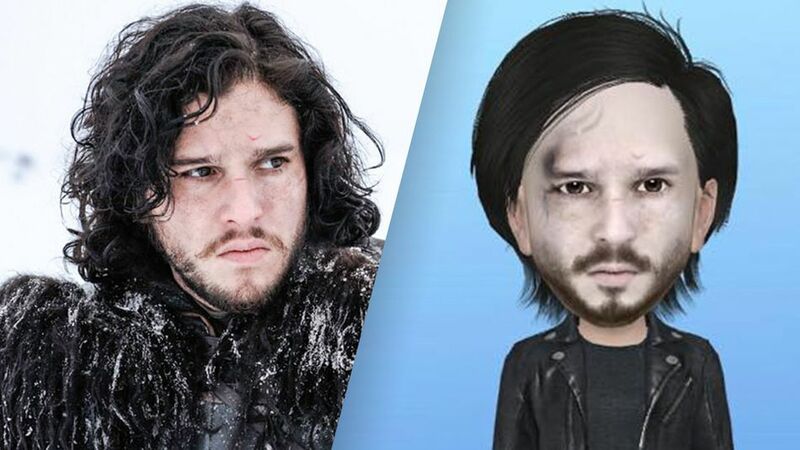 But I have to say that many of my friends have created avatars that look exactly like them, as sort of 3D avatar-land versions, anyways. 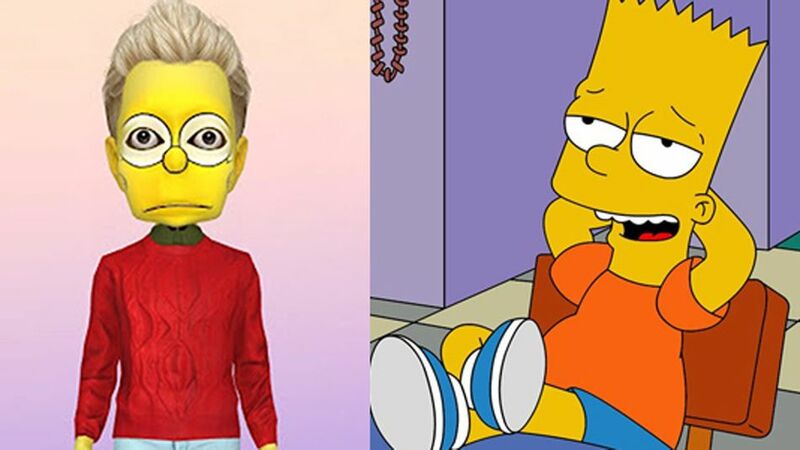 And a very terrifying Bart Simpson. And...mine. Not so good. I am still working on it, OK!